Cairo Tower on Gezira Island surveys the dusky Nile. 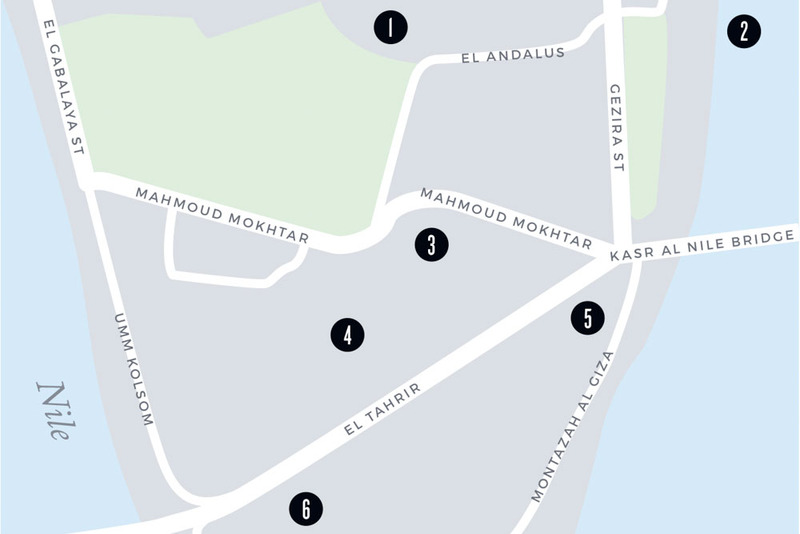 Map of Gezira Island in Cairo. It's well known for it's cultural offerings. 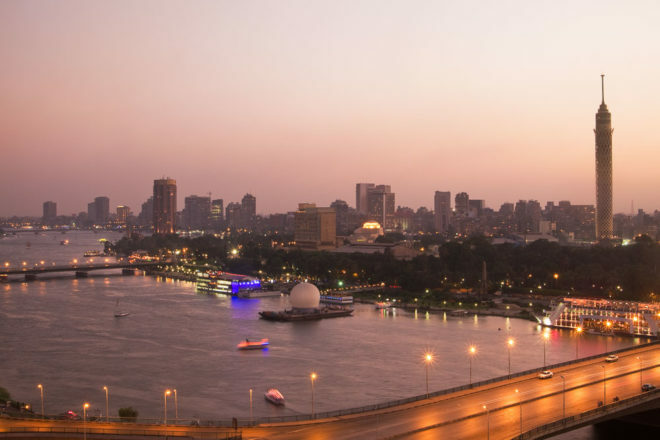 Here are 6 essential stops in Cairo’s cultural heart, on southern Gezira Island, the Egyptian capital’s answer to Manhattan. Words by Jessica Zavolokin. The Cairo Tower stands 187 metres tall in the heart of the capital, affording panoramic views of Egypt’s city that never sleeps. Open from 8am until midnight, for the crispest views head up in the late morning or late afternoon when the haze has eased. Dinner can be had at the Revolving Restaurant. A buzzing bar and restaurant on a boat serving up an eclectic mix of dishes including Brazilian, Greek and Italian. It’s not all ancient hieroglyphs you know – opposite the Cairo Opera House you’ll find a fantastic collection of contemporary art. Cairo Opera House rose from the ashes of The Khedivial Opera House in 1988, which had burnt down in 1971. The Khedivial Opera House was the first in Africa and home to Egypt’s synonymous opera, Aida. Cairo Opera House now hosts Egypt’s finest orchestral performances, operas and ballets. Just off Gezira Square, you’ll find a peaceful oasis of green to rest your legs, with statues of influential figures for company. Peruse more than 85 works by revered sculptor Mahmoud Mukhtar, who’s considered the father of modern Egyptian art.